Have you gotten your latest issue of TBR Magazine? Our cover runner, Rovilson Fernandez, talks about his first marathon and the little miracles he spots at every Sunday morning race. 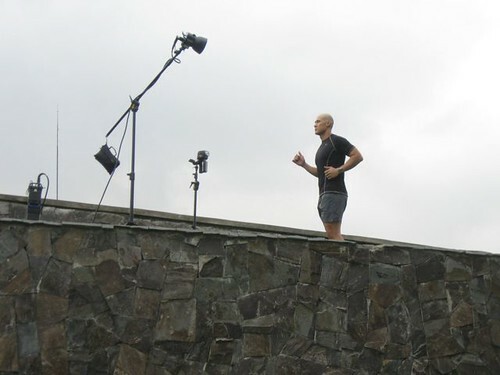 We’ve got a lot of info to share on Yoga for Runners, Natural Fuel for your Runs, Running Gear for All Types of Weather, and we feature two strong runners and rowers, Pat Collantes and Nancy Chu-Reyes. 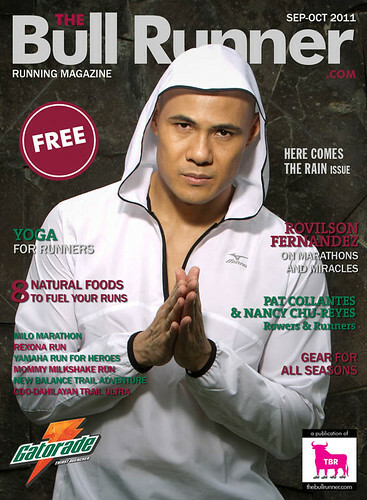 Drop by your favorite running and sports stores for your FREE copy. Click HERE to find out where we’re available! And now for some behind the scenes shots at our location, Heritage Park Cemetery. What fun we have with our favorite photographer, Ben Chan of Blacksheep Photography, at every shoot. Yes, even when its at a cemetery! hah! Woah. I cannot wait to watch this movie. I’m tempted to drag all my running buddies to a long run, binge on a heavy breakfast with great coffee, then catch the earliest showing time for Thelma without taking a shower. Wouldn’t that be the perfect way to spend the weekend? Have you seen it? How is it? 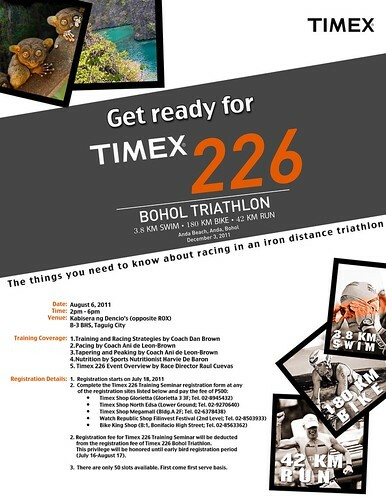 I was in my own little world wondering when I’ll ever join and finish a sprint triathlon—there’s none anytime soon and the Speedo NAGT in October conflicts with my sched—when I heard about the Timex 226 Bohol Triathlon in Anda, Bohol. I was floored. Isn’t it amazing how our local races just keep improving and, uhm, testing our limits? (Well, not really MY limits for Timex 226 because mine would be Timex 22 without the 6 only. Hah!) And, isn’t it fantastic that companies like Timex continue to support local races and promote endurance sports in the community? Awesome. 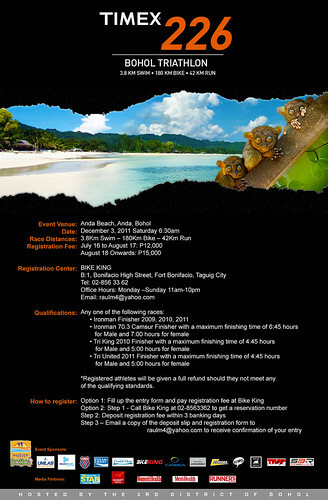 Anyhow, just in case you’re dreaming of joining the Timex 226 in December or in the future, you may want to join this talk on Saturday, August 6, 2011, from 2 to 6PM at Kabisera. Speakers are good friends Coach Dan and Ani Brown and Harvie de Baron. I’ll be there just to say hi after the event. Do I ever dream of finishing distances like this? Perhaps when my kids don’t need me hanging around too often! Did you miss any of our old issues of The Bull Runner Magazine? Not to worry. All issues are now available for download…for FREE! 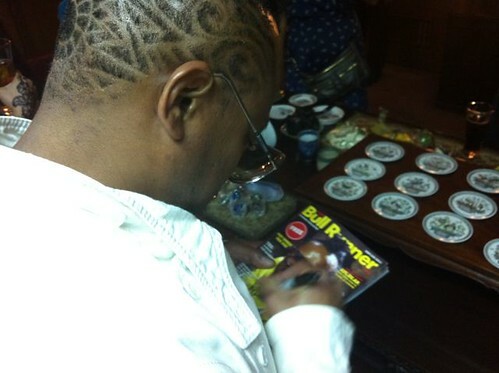 Guess Who Signed my TBR Magazine?! 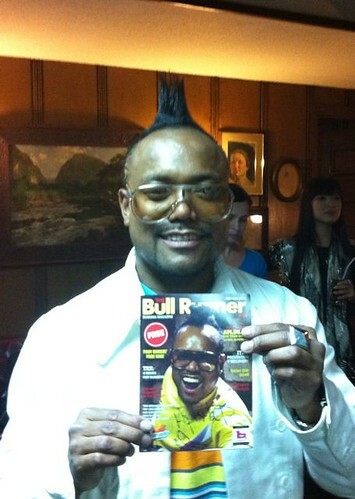 …our cover runner Apl.de.Ap of Black Eyed Peas of course! This goes into my collection of other TBR Magazines autographed by Jeff Galloway and Piolo Pascual! Thanks to Jamike and Mayi Lopa for not being too shy to ask him for me hah! 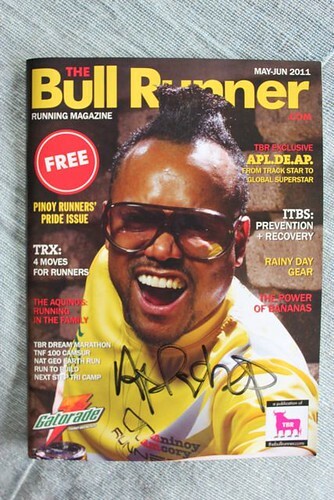 Download the latest issue of TBR Magazine with APL.DE.AP on the cover by clicking HERE. It’s FREE!